Electronic Medical Record is a collection of the stored health information of the patient in a digital format. These records can be shared across different healthcare settings through network-connected or other information networks. It has potential to benefit each and everyone in the healthcare industry including physicians, patients, and healthcare organisations. 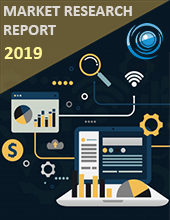 The market share is valued at $15.36 billion in 2018 and is expected to reach $23.19 billion with a CAGR of 10.02% by 2024.Key points like Expansion of healthcare IT and improved infrastructure in developed countries, rising need for integrated healthcare systems and maximised patient safety and factors like Lack of technical expertise, Data Integrity, and safety concerns, High initial investments and lack of infrastructure for better connectivity are hampering this markets. Electronic Medical Records Market is classified by component, functionality, application, end user, type and mode of delivery. By Component, the market is further segmented as software, hardware, services and consulting. By Functionality, it is divided into fully functional systems and basic systems. By Application, it is classified as speciality based which is further classified into neurology, cardiology, oncology, and radiology. By End User, it is classified as physician based EMR and hospital-based EMR. By Type, it is segmented into traditional EMR’s, interoperable EMR’s and speech-enabled EMR’s and by Mode of Delivery, it is segmented into On-Premise model and Cloud-based. McKesson Corporation ranked 5th on the FORTUNE 500, is a Europe leader in the healthcare information technology. Europe diversity is analysed with the major countries and the unions.